Inverness College UHI principal professor Chris O’Neil has today announced that the demolition of its former campus in the Longman area of Inverness will get underway this month. The contract for the works has been awarded to Bonnybridge-based Central Demolition following an extensive public tender exercise. Work will start on site on January 14 and is expected to last until mid-July. The 4.5 acre site will be jointly marketed by Montagu Evans and Rennie & Mackay Property Consultants Ltd shortly. The site on Longman Road is zoned by Highland Council for a mixed-use development, which could include retail, business, industrial, community or leisure use. 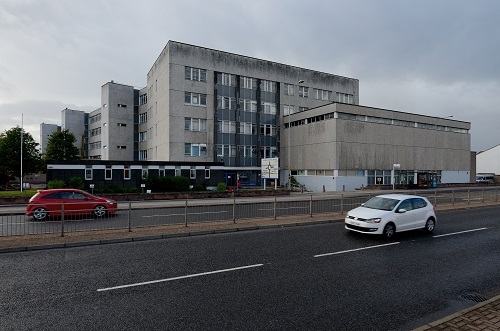 The building dates back to the late 1950s and has been empty since Inverness College UHI moved to its new site at Inverness Campus in August 2015. Part of the land has already been sold to the Scottish Courts and Tribunals Services for Scotland’s first purpose-built Justice Centre, due to be completed in late 2019. Inverness College UHI has been working closely with the Scottish Futures Trust to bring forward progress on disposal of the remainder of the Longman site. 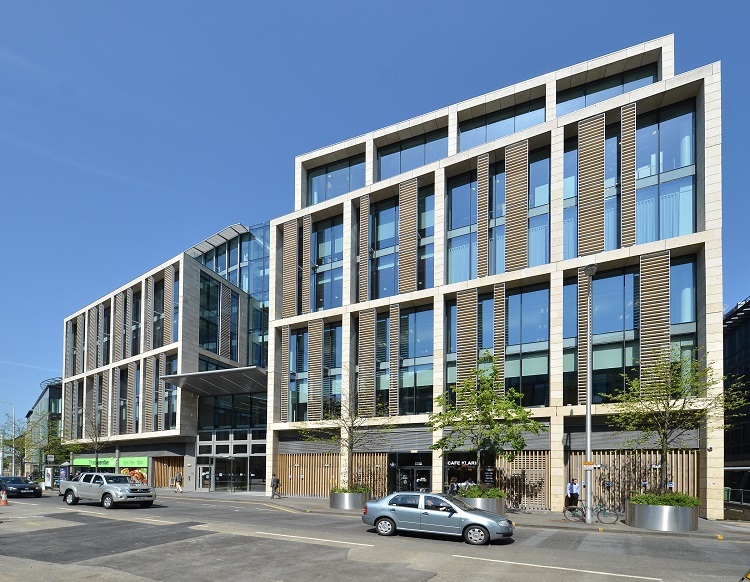 The total office market take-up in Edinburgh in the fourth quarter of 2018 was 208,029 sq ft, down from the Q3 figure of around 275,000 sq ft, according to the latest research from CBRE Scotland. Following substantial activity in both the city centre and West Edinburgh, regears and renewals were significantly up from Q3 2018 at 315,713 sq ft -completely eclipsing the total 2017 figure of 233,399 sq ft. This was undoubtedly fuelled by the lack of available alternative accommodation and the rising rents. Total take-up for 2018 was 972,634 sq ft, down from the end of 2017 figure of 1,138,616 sq ft but ahead of the 10 year average. Work on £200,000 worth of improvements to the Category A-listed Avenue Screen in Inveraray is underway. The Avenue Screen’s existing render needs to be entirely removed and replaced. Weather-proofing works are also required on the screen and will be carried out as part of the contract, which is part of the council’s drive to protect Inveraray’s architectural appearance following previous major repair and conservation works to a string of buildings in the town. Scaffolding will be erected at the Avenue Screen from January 14 as contractors make preparations to begin the removal of the existing render. The project represents further investment by Argyll and Bute Council in the town following the Inveraray Conservation Area Regeneration Scheme (CARS), which was successfully completed last year. Last month East Dunbartonshire Council announced plans to build three new early years facilities in Bearsden, Kirkintilloch and Milngavie - an investment of more than £4.5 million. The new centres will create places for 272 children and improve access to services for families as the council prepares to deliver on the Scottish Government pledge to increase early learning and childcare hours for every child from 600 to 1140 hours annually. Information sessions are being run this month and it is hoped local people will take up the opportunity to go along and find out more. The development sites are the former Brookwood Library in Bearsden which will provide places for up to 88 children, land across from Kirkintilloch Police Office at Southbank Marina for up to 96 children and the former St Joseph’s Primary in Milngavie which will provide places for up to 88 children. Site investigation work is to be carried out by amey-Black & Veatch (aBV) as part of ongoing work to alleviate flooding issues in Aberdeen’s Merchant Quarter. In order to confirm the feasibility of proposed work to improve the capacity of the sewer network in storm conditions, trial excavations need to be made at locations in Shore Brae, Market Street, Trinity Quay, Trinity Street, Carmelite Street and Guild Street. Plans have been agreed with Aberdeen City Council to carry out the work in phases, in order to minimise disruption for local businesses and road users. East Dunbartonshire Council has announced a special procurement event offering local businesses information about becoming a supplier for public sector contracts. ‘New Year, New Opportunities’ will take place on January 16 at Kirkintilloch Town Hall, with a range of workshops and demonstration sessions between 10am and 4.30pm. The event will be led by the council’s Procurement Team, the Supplier Development Programme and Business Gateway officers, and is supported by Dunbartonshire Chamber of Commerce.